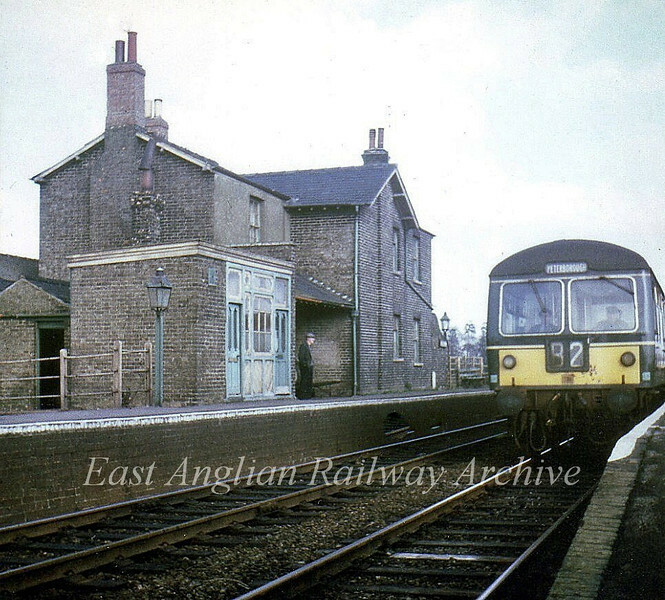 Wimblington Station on 4th March 1967, the last day of services on this section of the line. The view is looking south with a Cambridge to Peterborough working. No trace of the station exists today as the A141 Wimblington bypass uses the track bed. Photo with kind permission of Stewart Ingram. Wimblington had an up goods loop with a capacity of 93 wagons.